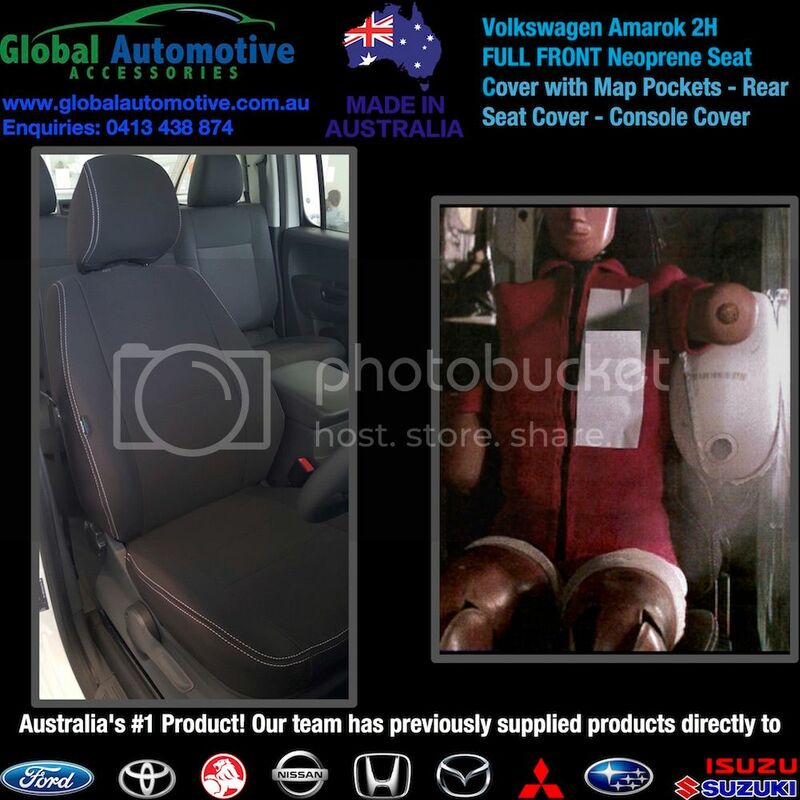 Hi All, we've recently become a site sponsor of the AusAmarok group so I wanted to take this opportunity to say G'day to everyone and to also let you know about our Car Company Spec Neoprene Seat Covers that were launched in March 2016. Car Company Spec Neoprene - THAT IS BUILT TO LAST! If you have any further questions please don't hesitate in contacting us. Thank you for supporting Australian manufacturing! Sorry for the double up on the post. Photos of the product are now in the above post. Is anyone else having problems reading this thread? All I see is the title. I read it. But now it appears the post has been deleted. Sorted: the post needed 'approval' before it became visible. I thought it may have been my it inability on the computer that had caused the problem. Phew All seems to be okay now and I've updated photos to appear on the original post at the top. Should anyone have any questions relating to the product, please don't hesitate in contacting me. What are the benefits of neoprene over something like canvas? 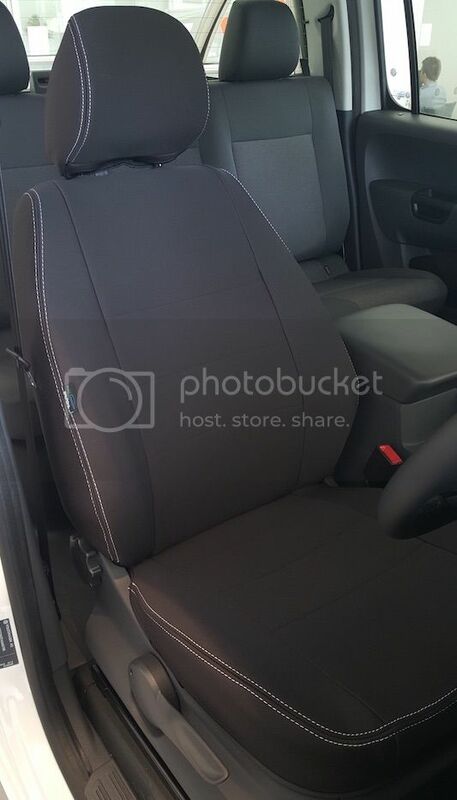 Excuse my ignorance, don't know much about car seat covers but in the market for some(hopping onto the seats covered in grease, oil and dirt doesn't feel good). Thanks for your message and a very good question. We've had many customers ask us in the past about the major differences in neoprene and canvas. Below I've outlined the major differences between neoprene based products and canvas. Low on going maintenance, longevity of the product and overall appearance - Due to the scrim which we have laminated to the face of the neoprene it's incredibly easy to clean dirt, oil, grease, salt stains etc, which are simply removed with a warm rag. In the event that there is excessive dirt / grease our seat covers are easily removed and can be soaked / machine washed and drip dried. Products such as canvas do tend to maintain the marks as they tend to stick to the surface of the canvas. 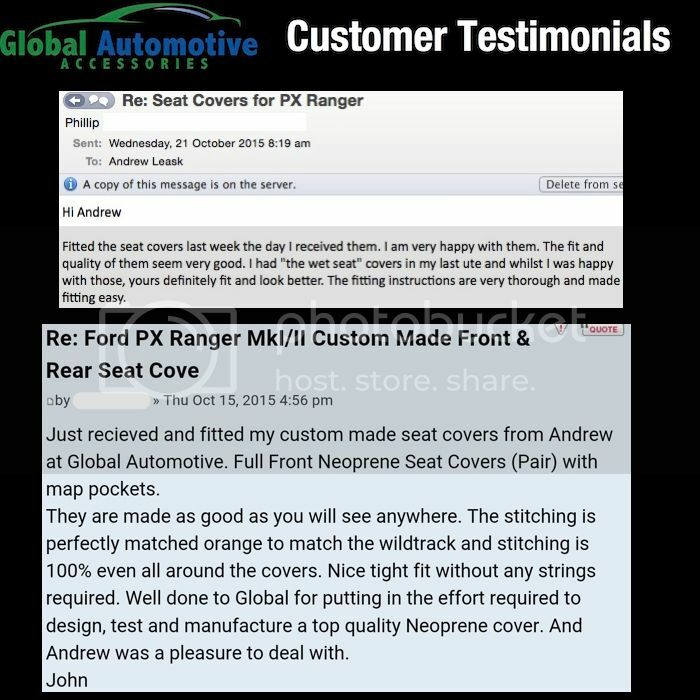 Price - As far as bang for your buck goes we like to think that we are the most competitive seat cover manufacturer in the marketplace. 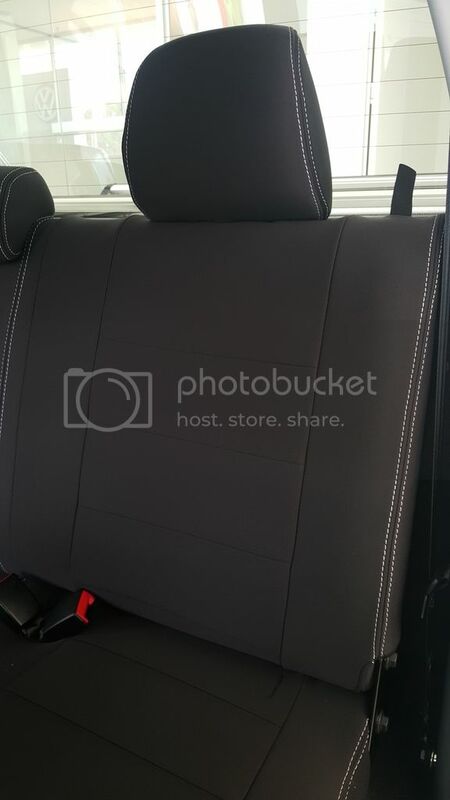 We've seen some canvas seat cover suppliers sell for well over $700, which is a difference of over $250 to our RRP. 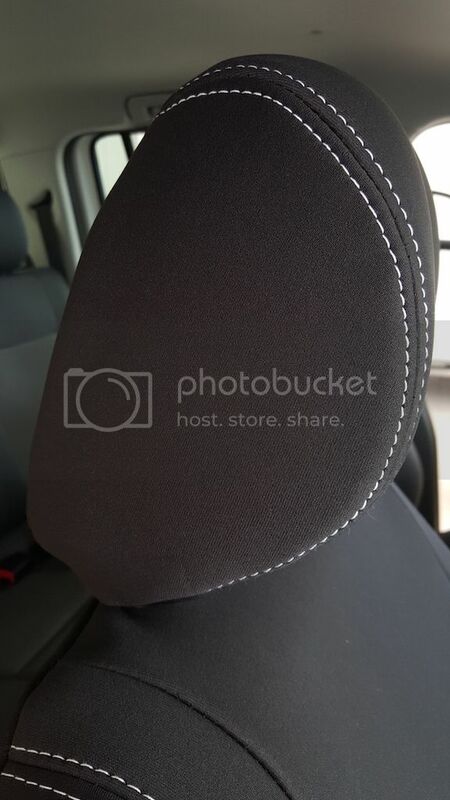 Overall fit of the product - Due to the stretch properties incorporated in neoprene it enables us to design an incredibly tight fitting seat cover that grips and hugs the contours of the seat. Canvas on the other hand is a non-stretch material which can mean that it is quite difficult to obtain a tight and snug fit. 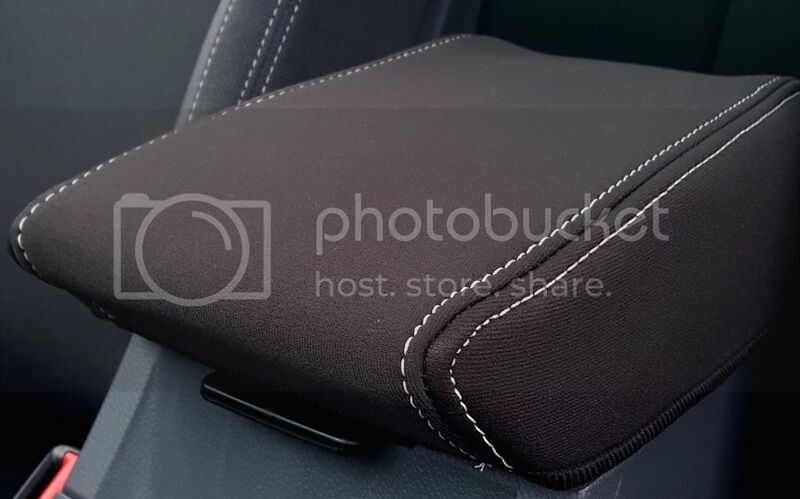 Comfort and protection of the original seats - Our neoprene seat covers incorporate 2.4mm rubberised properties meaning that it is quite comfortable on your backside for long trips. 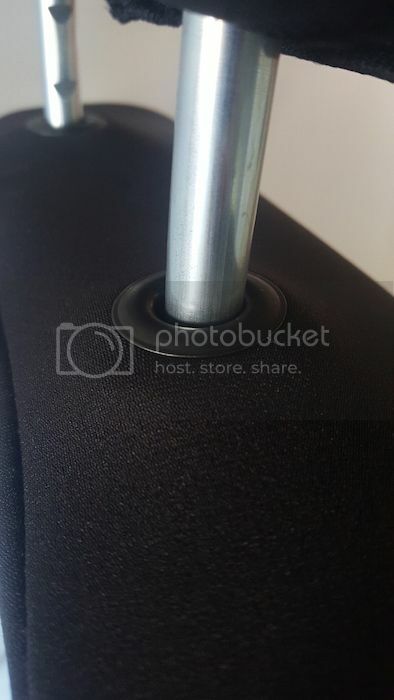 In addition to this the original seats are in no risk of being damaged because of the rubber backing. Canvas can have the ability to be quite uncomfortable over a sustained period of time as it is hard and coarse in nature. 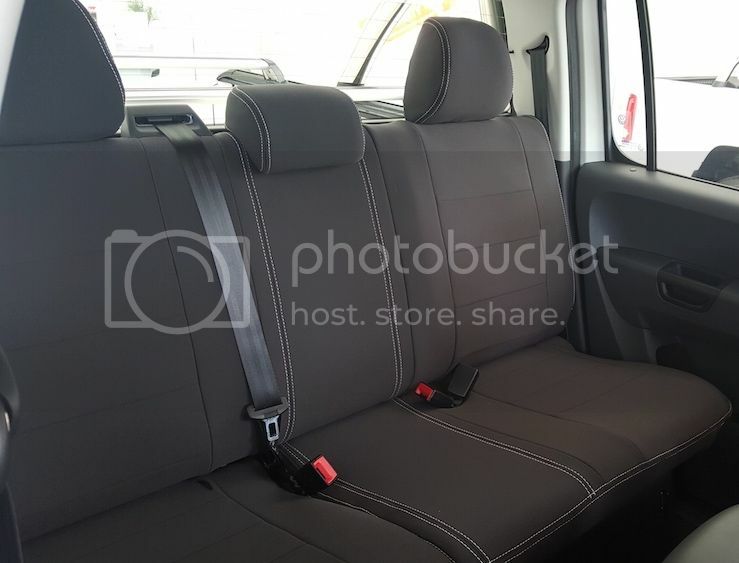 Getting in and out of the vehicle with canvas can also have the ability to impact the original trim of the seats through the coarse material rubbing against the original trim (particularly if you have leather). 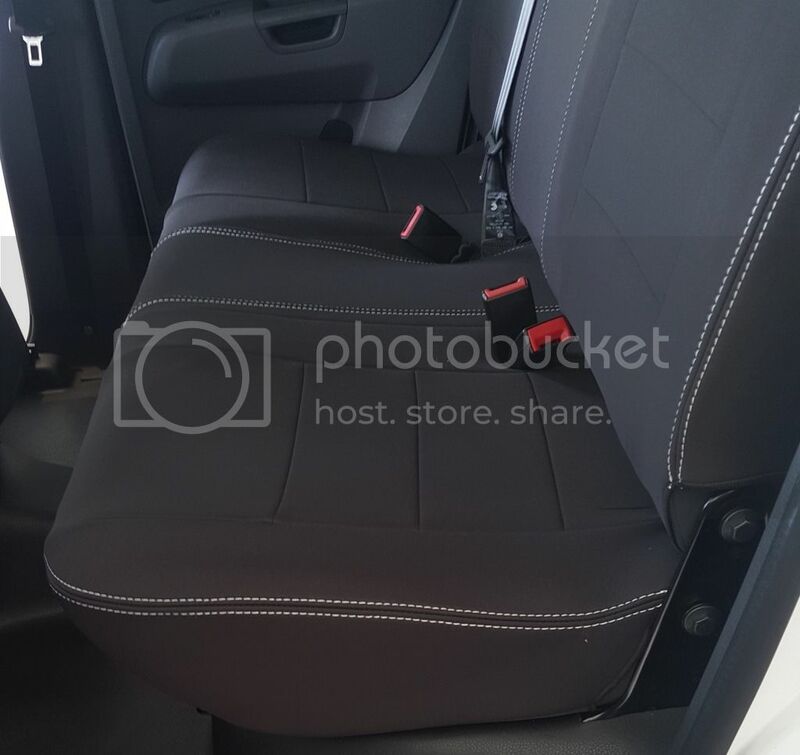 Some of our customers have said that the rubberised properties in our neoprene, make the seats much more comfier than the original seats, which are stacked with high density foams. 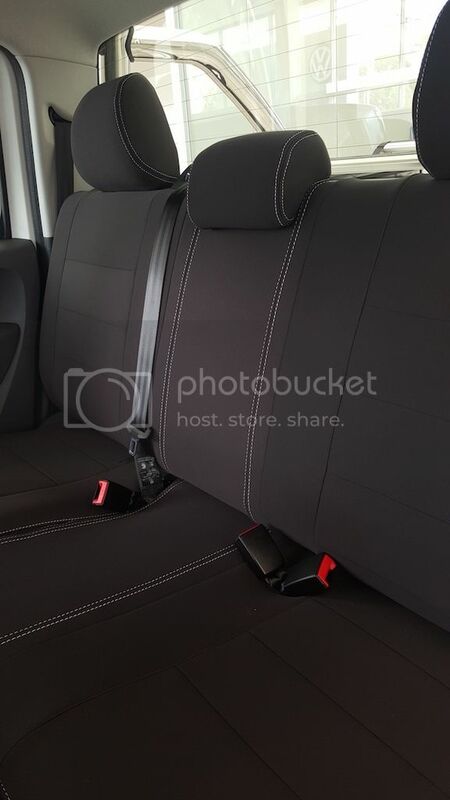 As a bit of background information - the neoprene that we use is a car company spec material that has been used in the supply of over 50,000 seat covers directly to the car companies as genuine accessories - Ford, Mazda, Holden, Mitsubishi and many more - so you can be sure that the product is built to last. 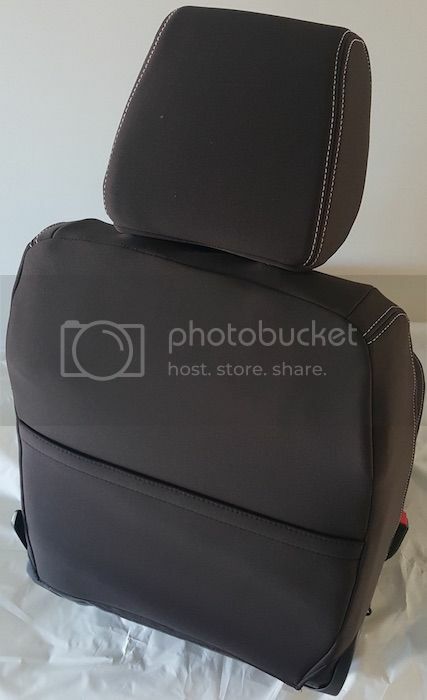 Our front seat covers have also been airbag tested and approved by a world recognised safety authority and we can proudly say that it is the safest neoprene seat cover in Australia. We stand by our product, which is why we like to provide our customers with the peace of mind that if they aren't happy in any way with the product, we'll happily accept a return within 30 days of purchase. I hope this helps and should you have any further questions please don't hesitate in contacting me at any stage. [MENTION=5117]Indigo[/MENTION], no worries, it's the weekend so everyone is in relaxation mode. Please feel free to contact me should you have any further questions relating to our product. I hope you've had a good weekend so far. With a response like that it is very hard to not give them a go, especially as your prices are already quite competitive(I've done a bit of research now). I'll be sending an email to you soon. Bought mine today. At this stage customer service has been top notch. I hope that the product is as good as the service! The pictures certainly fill me with hope. I look forward to receiving your e-mail and having you onboard our newest customer. When you send through the e-mail please quote your AusAmarok username, as we always like to put a name to a username from the forums that we promote across. Thanks for the kind words, we certainly hope that we can not only meet, but exceed your expectations. Great to have you onboard and we look forward to supplying you with your product over the coming weeks. 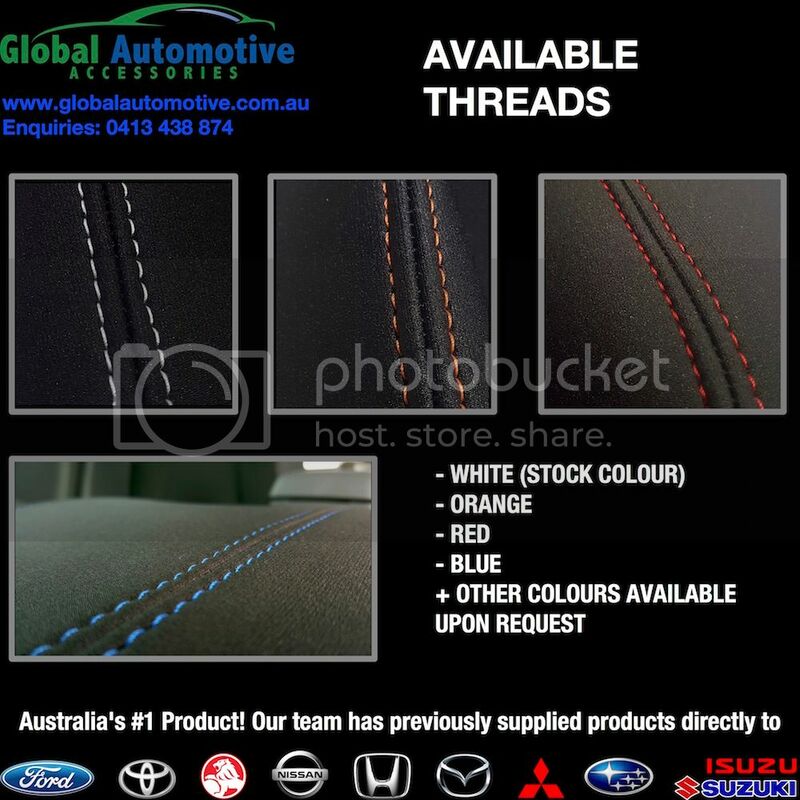 To everyone else who has supported our Australian business over the last few days with our pre-launch, on behalf of Global Automotive Accessories I'd like to thank you all. We look forward to dealing with all of our new customers over the coming weeks, months and years. For anyone who ever has any particular questions about our product you can reach me at any stage on 0413 438 874. I do work incredibly long hours so if you feel the need to call me at 10pm, I'd be more than willing to have a chat about our products and services. Thanks again to everyone for supporting Australian manufacturing. I've placed my order and look forward to receiving them putting them on the car. My order was just placed today. I also can't complain about the responsive & helpful service from Andrew. Looking forward to getting the covers. [MENTION=5483]megadarv[/MENTION] [MENTION=7987]Johnny99[/MENTION] Thanks for the kind words. The teams certainly looking forward to supplying you with the products and hearing your overall thoughts. Due to the support shown by this forum, I've decided to extend our pre-launch pricing until the end of April. Thanks again to everyone for their continued support. Should anyone have any questions regarding the product, please don't hesitate in contacting me. So if we order now, when can we expect delivery? Having met with our production manager this morning, we've been able to increase our initial order production volume to 20 fronts and 20 rears for the first off run. We still have a few orders that haven't been allocated, so we are in a position to take new orders. Allocations are filling up fast, in which we prioritise orders based on order date (first in best dressed). We can also offer Express Postage service at an additional cost. Should you have any further questions please don't hesitate in contacting me. Hope you have a good weekend! Just a quick update to let you all know that we are packaging off orders as we speak and will be dispatching goods this afternoon. We will be sending an e-mail first thing tomorrow morning with all tracking information. It will then be followed up with an e-mail of the fitting instructions over the weekend (or Monday at the latest). I'm still in the process of finalising the rear fitting instructions and would like to go to a dealership to take some additional photos, so that we make the process as easy as possible. Thanks again to everyone for their support of our product launch and we look forward to hearing your overall thoughts on our product. Got my seat covers and installed most of them today. I must say I'm most impressed! The quality is amazing and they are a sinch to install. Very happy with the attention to detail and the colored stitching is all class! I received my seat covers earlier in the week and fit them the next morning. Everything about them is perfect - quality, fitting, looks. 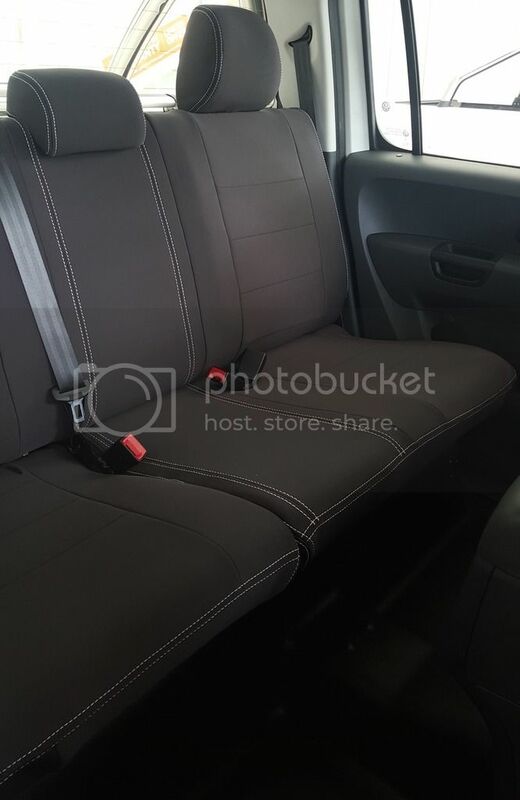 I have been extremely impressed with the entire transaction and I now have beautiful seat covers. Very happy! Thanks Andrew and the team at Global Automotive Accessories. My apologies for the delay in responding, it's been an incredibly busy last few weeks of new product launches. Whilst we are confident with our design capabilities it's always a nerve-racking time with any new product launch, as you can never be 100% sure how our customers will respond. So I'm over the moon to hear that you are happy with our products. On behalf of Global Automotive Accessories, thanks once again for your business and we hope to deal with you again in the future. Looks really good, special still going? I want to get the full set. Due to the support shown by this forum, we are happy to extend our special pricing until the end of May. 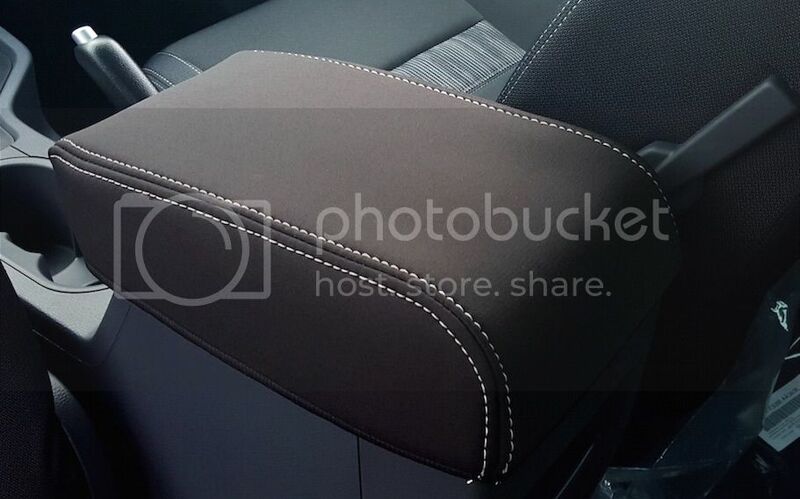 We are currently manufacturing a new batch of seat covers as we speak and can support customers requirements within the next 1.5 to 2 weeks. Thanks for your continued support and for supporting Australian manufacturing.